Although menopause is a natural part of life, it can still cause uncomfortable symptoms for the patient. Dr. Smriti Rana of Blessings OB/GYN and Women’s Care, located in Glendale, Arizona, provides diagnosis and treatment to women going through menopause. "The practice has excellent staff!" "Dr. Rana is very knowledgeable, honest and she is very nice with the patients." "Dr Rana is the best. She is thorough, patient, kind, and knowledgeable." Menopause is a natural transition in which a woman’s fertility ends. Once menopause occurs, she no longer ovulates or has a menstrual period. Pregnancy isn’t typically possible after menopause. Before a woman officially enters menopause, she’ll go through a phase known as perimenopause, which may cause noticeable symptoms. The transition may begin several years before menopause. Before menopause, the body produces specific hormones that control ovulation and the menstrual cycle. Menopause occurs when the body stops producing these hormones in the amount required for ovulation. When the ovaries no longer ovulate, the woman no longer has a period. For most women, menopause occurs after the age of 45. The average age for menopause in the United States is 51. When menopause occurs before the age of 40, it’s considered premature menopause. Women who go through menopause before the age of 40 may be at a higher risk of certain complications, such as bone loss. For this reason, women who suspect early menopause should contact Dr. Rana to discuss testing and treatment options. Some women in perimenopause or menopause won’t need any treatment for their symptoms. When symptoms are severe, Dr. Rana can prescribe oral hormone therapy. This can relieve many of the symptoms of menopause, including hot flashes and vaginal dryness, and it can prevent bone loss. Oral hormone therapy also poses some risks, especially when it’s used for a long time. Women who experience vaginal dryness may benefit from vaginal estrogen. This treatment doesn’t pose as many risks as oral hormone therapy, but it won’t be effective for systemic symptoms like hot flashes. Other medications Dr. Rana may prescribe to women experiencing menopause include gabapentin, antidepressants, and medications to prevent bone loss. 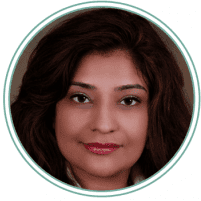 "I would definitely recommend Dr. Rana ... She has been my doctor for the last 4 years and is always wiling to help and spend time with you in the room." "They make you feel very comfortable. The Dr. is absolutely lovely and gentle." "I love the staff. I love the doctor. I would definitely recommend this office and doctor."